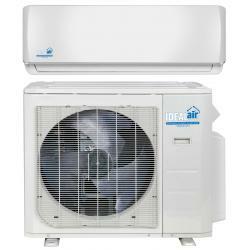 Ideal-Air™ is proud to offer the DriFecta® Mega-Split® the only high performance cooling and heating split system that's not only a commercial grade air conditioner, but also allows for independent humidity control. Temperature and humidity can have independent set points. Even if the temperature set point is achieved, it will continue to operate the dehumidification feature until the desired humidity level is achieved without over cooling the space. 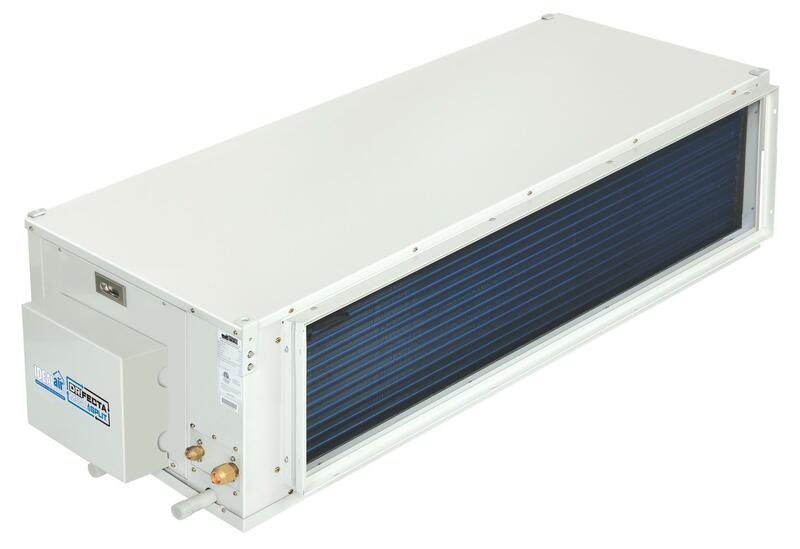 The Ideal-Air™ DriFecta® Mega-Split® system delivers effective indoor cooling when outdoor temperatures range from 116°F to -13°F, low ambient cooling. 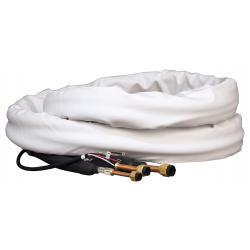 This system also includes an oversize condensate drain pan for added protection. The inverter compressor outdoor unit with variable DC fan motors is matched to a commercial-grade indoor ceiling mounted head with an industrial shaft driven motor and steel blower, making it the most durable and efficient split system available today. DriFecta® Mega-Split® units are available in 2, 3, 4, & 5 ton capacities. 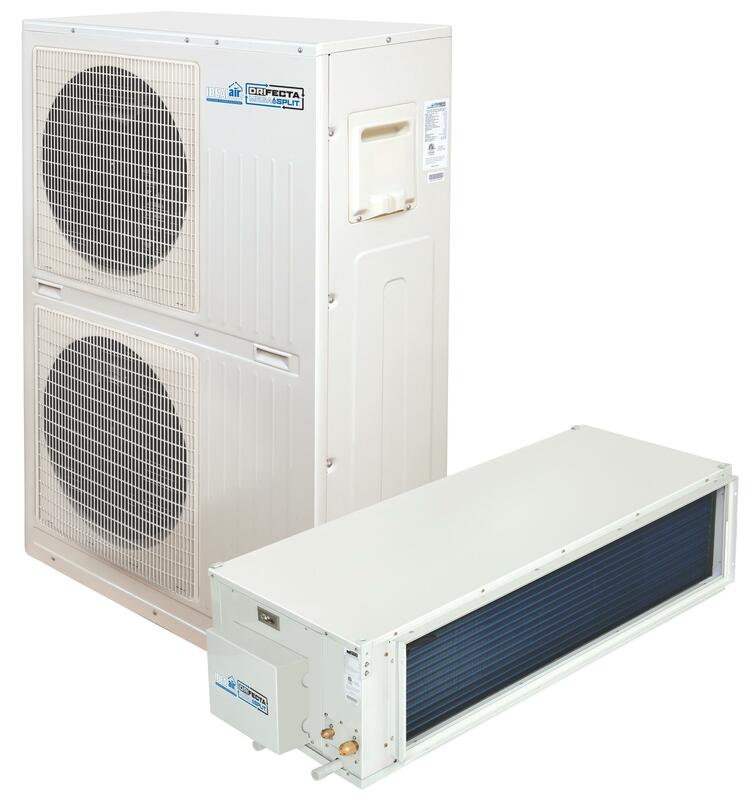 DriFecta® Mega-Split® units are an all in one unit which eliminates the need for an indoor A/C and a standalone dehumidifier. 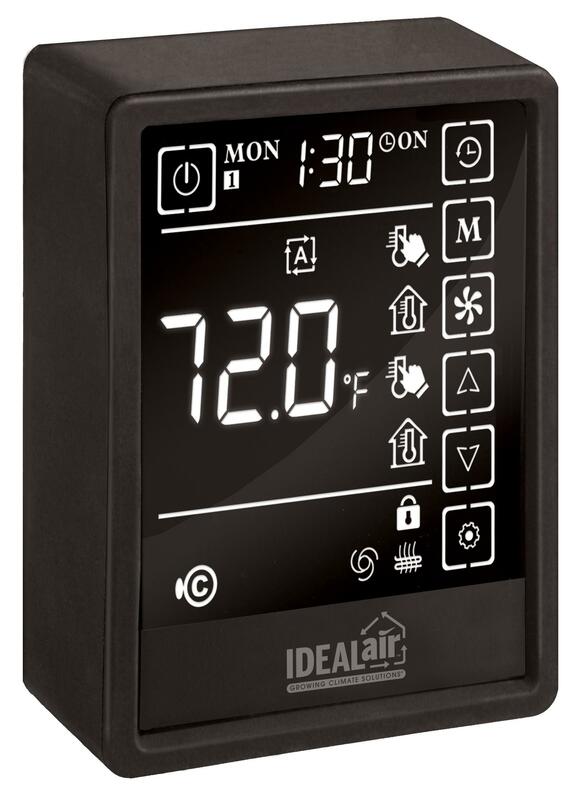 These features along with a touch screen control and 50 interconnect plug and play cord set designed specifically for the gardening industry makes this the IDEAL solution. 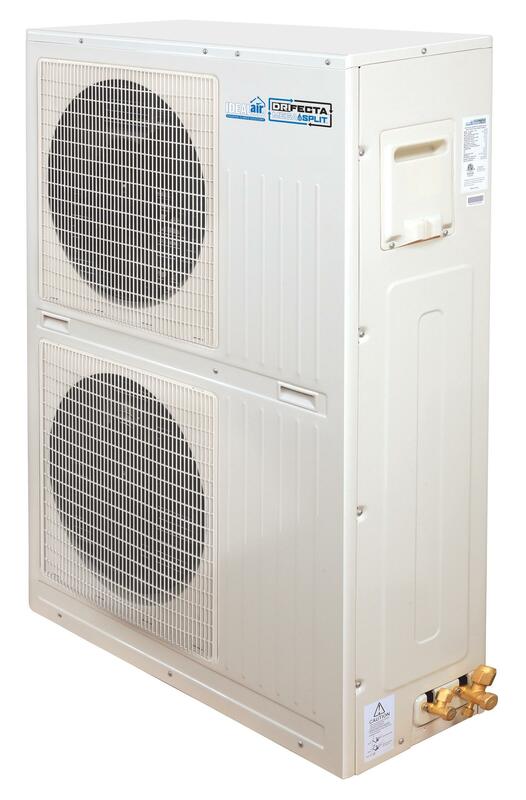 All units require a single circuit 208/230V 1ph 60Hz electrical circuit to the outdoor unit for the A/C and dehumidification. The permanent indoor air filter never needs replacing and is easily accessed for quick clean-up. Refrigerant line sets are offered separately. All units require a certified HVAC-Professional for proper start up.